The rapid development of molecular biology has given rise to an increasing demand in computational and mathematical approaches to analyze and understand the resulting data. In particular, advanced methods from Bioinformatics are required to extract and investigate the essential information from high-throughput experiments, such as microarrays or Next Generation Sequencing. 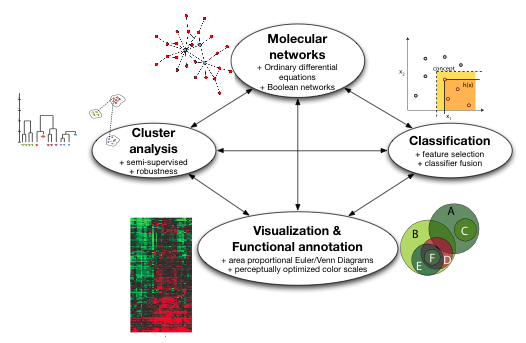 The emerging field of Systems Biology provides formal approaches to modeling and simulating regulatory processes in biological systems.